Womankind provides hope and care to women and girls and their families in need of emotional, medical and financial support. Eileen Murray, Executive Director explains that Womankind opened in response to the needs that grew out of the Supreme Court decision that legalized abortion. Womankind is offering a tour on May 15th. Susan Porter is about to graduate from Cornell University. She is a non-traditional student, entering college for the first time while in her 50's. 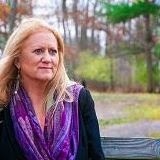 Tri-C. She explains how Cornell pursued her to enroll there, and how her story wound up in a chapter of Marlo Thomas' book It Ain't Over... Till It's Over: Reinventing Your Life - and Realizing Your Dreams - Anytime, at Any Age. A Kentucky Derby Watch Party is planned Saturday at Around the Corner in Lakewood to benefit Malachi House, a place where terminally ill people can spend their remaining days on Earth with dignity. Julie Johnson, Development Director and Kaitlin McCready, Associate Board co-chair discuss the mission of Malachi House and how it is accomplished. Malachi House was born out of a sense of Christian ministry to serve people who need end-of-life care, but can't pay for traditional hospice. Malachi House is now in its 26th year of serving indigent people at the end of their lives. Surprisingly, the average age of residents is 56. Julie explains why their residents are so young. And Kaitlin talks about the fundraiser. Dave Diffendal is living the dream. A member of the Rotary Club of Cleveland and resident of Lakewood until last week, Dave has moved to Belize, where he and wife Laura plan to develop a resort on the Caribbean Sea. Both left successful careers to pursue a project many only dream about. Dave is well-traveled, having visited India on medical missions with the Association of Indian Doctors of Northeast Ohio, and South Korea on an International Exchange mission with the Rotary Club. The Diffendals are hoping to develop their beachfront property in Belize over the next two years. 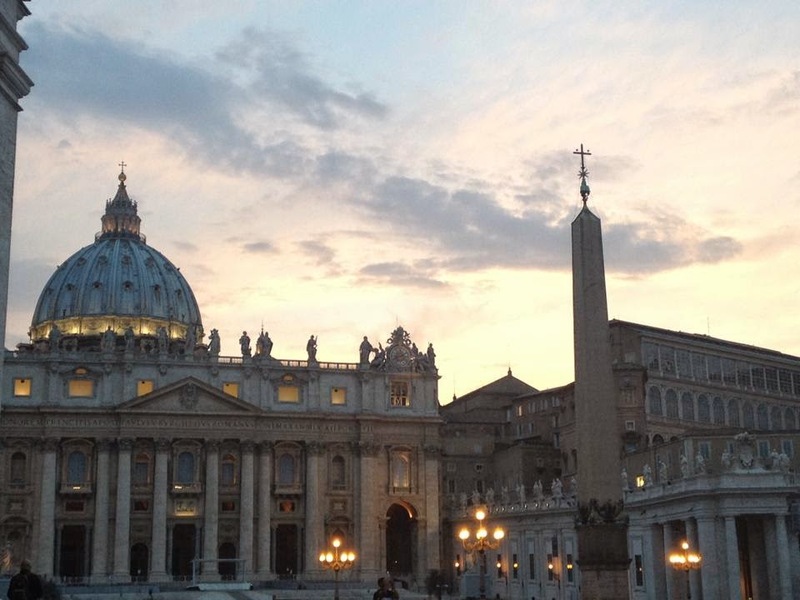 Pope John XXIII and John Paul II will be canonized in Rome on Sunday. Father Michael Lanning, Pastor of St. Angela Merici Catholic Church in Fairview Park shares his thoughts on the latest saints of the Catholic Church. One of Cleveland's best parties, the annual Cleveland Magazine Silver Spoon Awards Party not only honors Greater Cleveland's best chefs, but is also a fundraiser for the Arthritis Foundation Great Lakes Region. 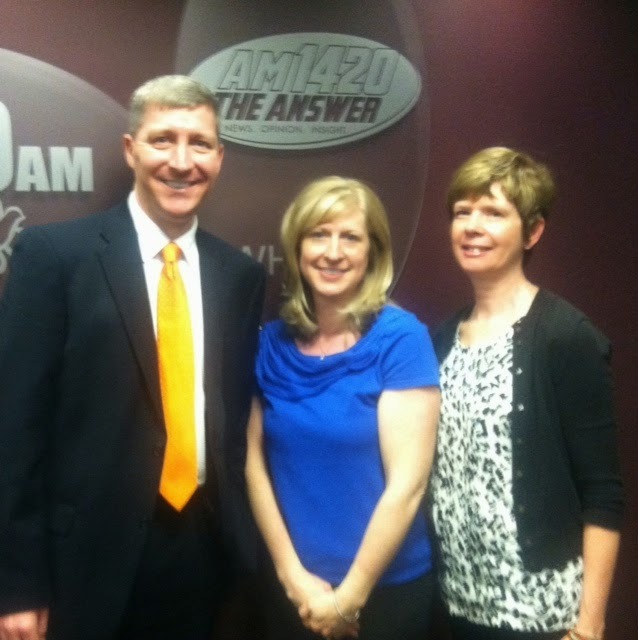 Kelly Donahue, Communications Director for the local Arthritis Foundation, and volunteer Susan Higham join Cleveland Magazine editor Steve Gledura to discuss the party, the mission of the Arthritis Foundation, and the Walk to Cure Arthritis on May 3rd. In this interview with Jim McIntyre, Steve shares some of his insight into Cleveland's restaurant scene, and Kelly reveals a connection between cooking and arthritis that gives the partnership between Cleveland's chefs and the Arthritis Foundation special meaning. 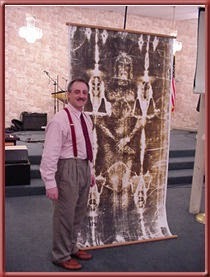 Local Shroud of Turin historian David Onysko has been researching the Shroud for decades, and presents his findings to groups around the world. His most recent presentations, during Lent 2014, were delivered to audiences at the Rocky River public library. This interview aired on Good Friday, 2014, timely not only because of Easter, but also because of the canonization of Popes John Paul II and John XXIII the week after Easter. Eliza Jennings Senior Care Network is the only licensed facility to provide Saido Learning, and is holding an open house on Thursday, April 24th at the Saido Learning Institute on the Eliza Jennings Health Campus on Cleveland's west side. 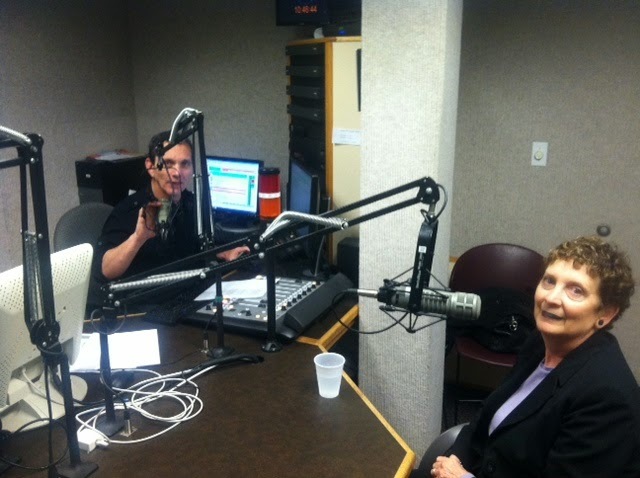 Deborah Hiller, President and CEO discusses Saido Learning and the other services offered by Eliza Jennings. Purple Stride Cleveland is the name of the 2014 fundraiser for the Pancreatic Cancer Action Network. Volunteer MaryKaye Mackulin offers details about this year's event, and Ken McManus testifies to the benefit of having a strong support network. 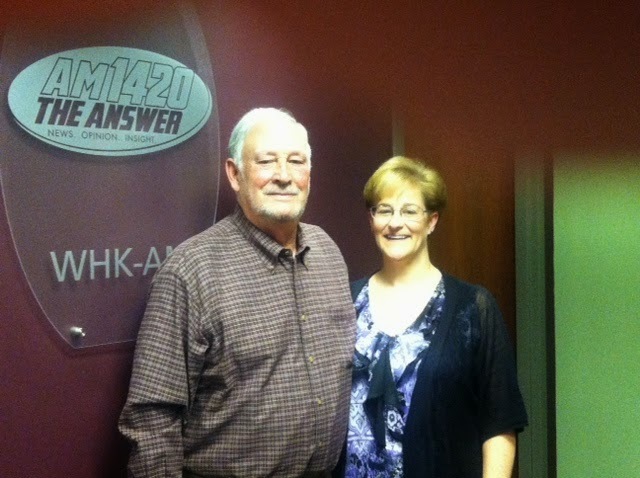 He has survived for more than five years after being diagnosed with pancreatic cancer. Rob Butcher wants you to learn to swim. 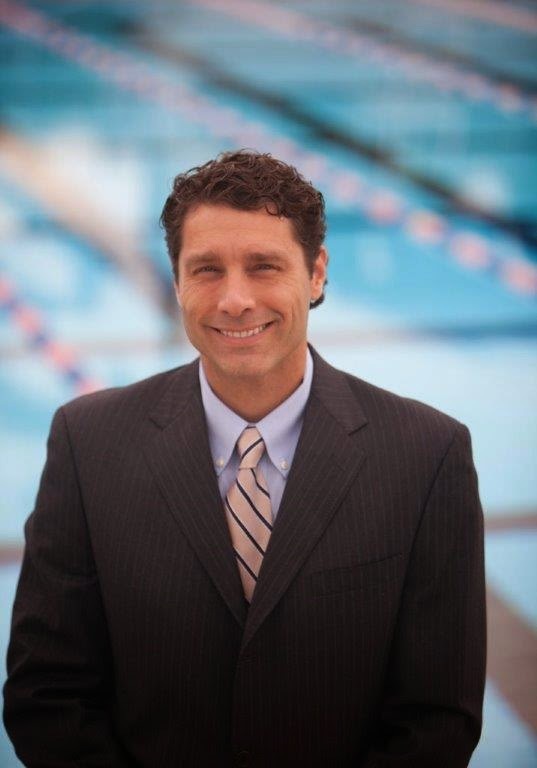 He is the Executive Director of U.S. Masters Swimming, which has declared April Adult Learn to Swim month. He sounds crestfallen to hear that some adults don't know how to swim, even some who live on Lake Erie. 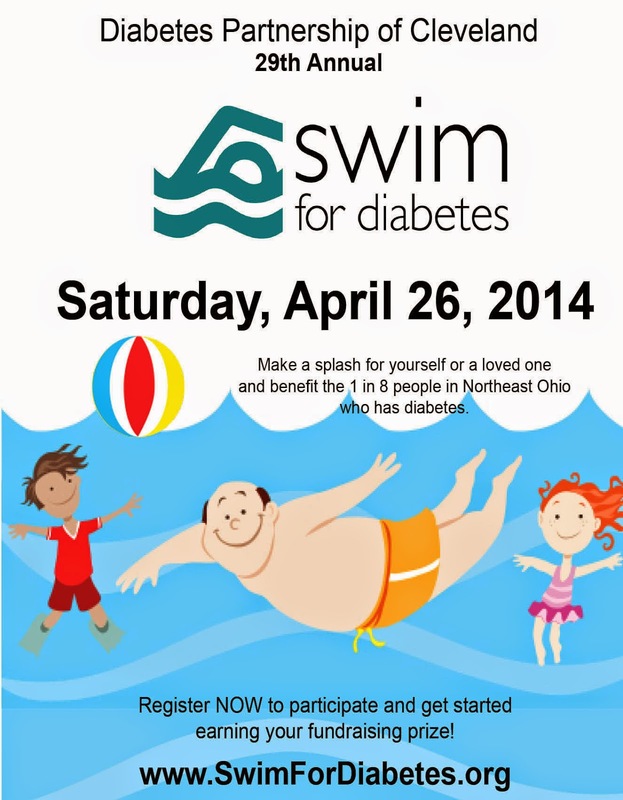 The annual fundraiser takes place April 26th. Tina Milano, President and CEO of the Diabetes Partnership of Cleveland and Director of Programs Cheri Collier discuss the event and the latest in diabetes treatment and research. Another improvement to Collinwood, where the Waterloo Arts District is flourishing is planning to open this August. Lakeshore Intergenerational School will be the third Intergenerational School to open in Cleveland. Cathy Whitehouse is the founder of the Intergenerational Schools, which offer an interesting, alternative education model. 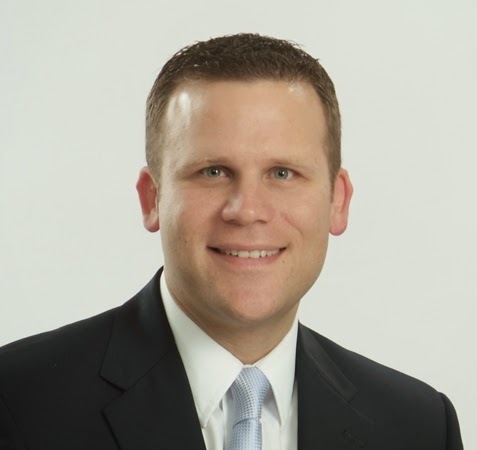 She is joined by Brian Friedman, Executive Director of Northeast Shores Development Corporation, who is quickly becoming an expert in education, as he helps establish a public charter (community) school in Cleveland's Collinwood neighborhood. 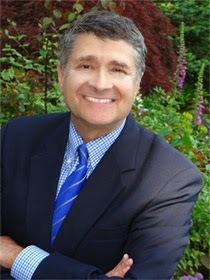 Afternoon host Michael Medved is coming to Cleveland, as part of AM 1420 The Answer's event, "Getting Back on Track 2014." He and Texas Governor Rick Perry will discuss issues pertinent to the political scene as the midterm elections approach, and look ahead to the 2016 presidential campaign. Medeved says there's a lot more to Governor Perry than most people think, following his flawed campaign for the republican nomination for president in 2012. In this wide-ranging interview with Jim McIntyre, one of America's leading conservative voices discusses the state of the republican party and other hot button issues. "Getting Back on Track 2014" will be held the evening of April 28th at LaCenter Conference and Banquet Facility on Detroit Road in Westlake. #BeerAutismHope Day is inspired by Lance Rice, a Vermillion man with an amazing knowledge of beer, who happens to also have autism. In honor of Lance's year long tour of America’s greatest breweries, autism organizations and families nationwide will take to Facebook and Twitter to start a movement by sharing Lance's message of hope and the hashtag #BeerAutismHope. A year ago, Lance was an unknown beer historian who was reticent to talk to strangers or even leave his house. 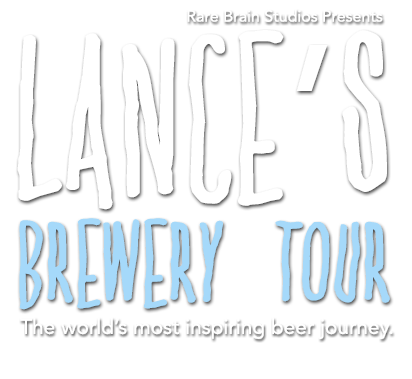 He gave Jim his first interview, which is replayed here, along with an updated interview with Aaron on the tour, the movie, and the book Lance plans to write about his brewery tour. Retired attorney and gentleman farmer Louis Rorimer is the son of one of the Monuments Men. He grew up in Cleveland, as did his father James Rorimer. The elder Mr. Rorimer and several other art historians and experts helped save and return tens of thousands of works of art the Nazis were first trying to steal. When defeat was inevitable, they tried to destroy the artwork. 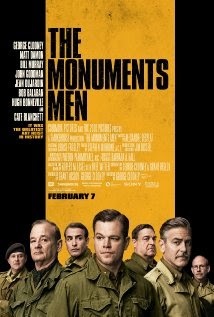 The movie is based on the book The Monuments Men: Allied Heroes, Nazi Thieves, and the Greatest Treasure Hunt in History, and Louis says the movie stays true to the book. James Rorimer was portrayed by Matt Damon in the fine movie that was recently in theaters. In fact, it's still on the big screen (as of 4/7/14) at the Regal Cobblestone Square 20 in Elyria. Louis Rorimer tells his father's story in this interview. Right to life groups are calling on state officials to shut down Preterm, a Cleveland abortion clinic, following the recent death of a young woman, who was taken from the facility via ambulance to a hospital. No cause of death ruling had been made by the Cuyahoga County medical examiner as of the time of this interview with Mike Gonidakis, President of Ohio Right to Life . The annual luncheon for the babies at Providence House takes place on Friday, April 4th at the Cleveland Renaissance Ballroom. President and CEO Natalie Leek Nelson explains the mission of Providence House, a crisis nursery, and how it has evolved and grown since it was founded by Sr. Hope Greener in 1981. 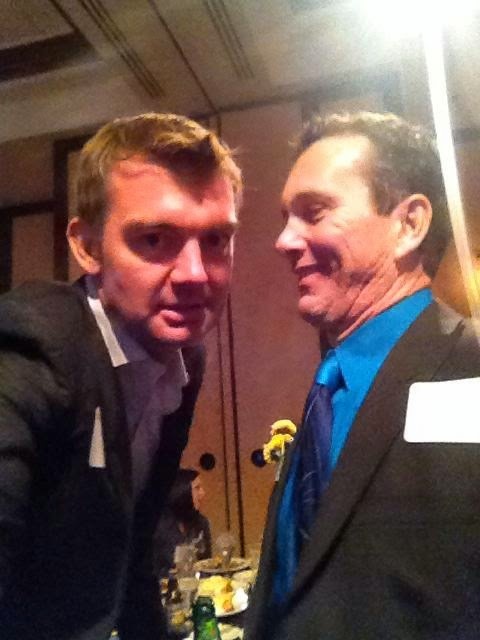 Natalie also previews the keynote speaker at this year's luncheon. Greg Fitzsimmons is a comedian who will share his not-so-funny story about growing up in an abusive household. Promises Made, Promises Kept "Because I Said I Would"
Why would a young computer engineer give up his promising career with one of the nation's most coveted software companies to start a non-profit organization dedicated to encouraging people to keep their word? Alex Sheen explains in this interview. Anyone who asks Alex for "Promise Cards" receives 10 cards that give recipients an opportunity to put their promises into writing. Not only does Alex run Because I Said I Would, he also promises to help others, like the 100 children with cancer who were sent to Disneyland. And he speaks to groups across the country about the pledge a young man made after driving drunk and causing fatal crash. Matthew Cordle of Columbus pleaded guilty and accepted his punishment instead of tying up the courts with lawyers and appeals. Because he said he would. 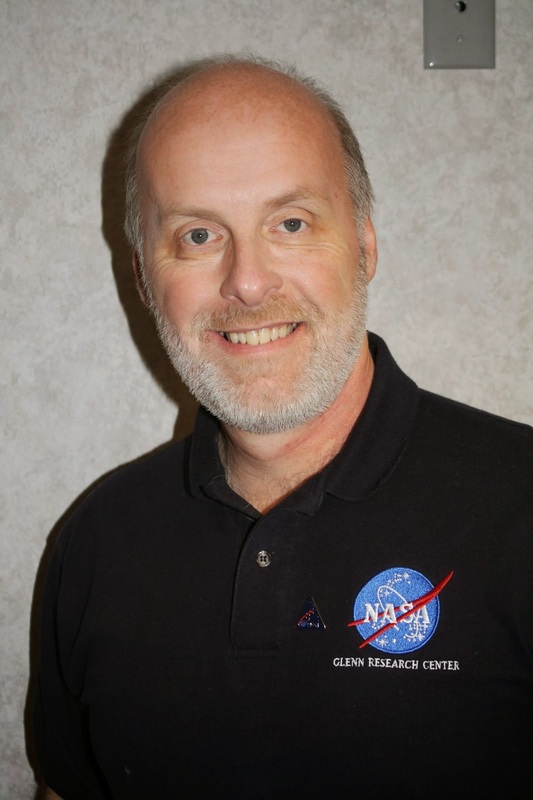 Astronomer Jay Reynolds of Cleveland State University discusses NASA's new dwarf planet, Biden 2012 VP 113, and explains why it's named after Vice President Joe Biden. He also discusses commercial space travel eventually replacing the Russians for transporting U.S. Astronauts to the International Space Station. And about the ring recently discovered around an asteroid.